You will totally want to make this cute gift for your dad on Father’s Day. 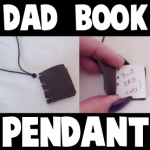 This step by step craft idea is to make a miniature little book (or journal) to wear around your dad’s neck. In this tiny book, you can your dad how important he is to you. I have a very unique craft for you today. I’m going to show you how to make a Potato Heart Stamp for Valentine’s Day. Yep, you read that right…. a stamp made from a potato. It is such a clever idea, isn’t it? And yet…. so simple. 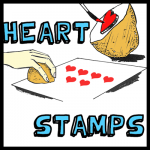 You can make Valentines pictures and Valentines Cards with your Potato Stamp. 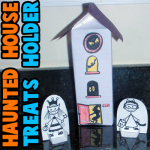 You will need a little help from an adult for this craft as it does call for a sharp knife. An adult will use the knife to cut the top of the potato off. 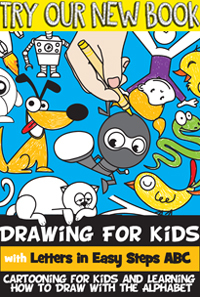 So, make sure not to start this craft without an adult present. So, with that being said grab an adult and the materials needed and let’s get started. Veterans Day is just around the corner… November 11th to be exact. Veterans Day is a very special day honoring our Nation’s Veterans. What better way to honor our Veterans than with the American Flag. 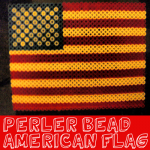 Today I’m going to show you how to make an American Flag out of Perler Beads for Veterans Day. So, grab your Perler Beads and let’s get started. Celebrate Hanukkah by hanging these easy-to-make Hanukkah ornaments in your home…the best part is that they only take five minutes to make. Yay! You don’t have to have a Christmas tree to have fun, you and your children can decorate your home for Hanukkah and have just as much fun. 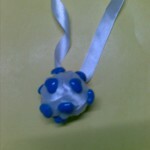 These Hanukkah ornaments are easy and fun to make and look very beautiful as well. Celebrate Hanukkah by hanging these sweet decorative Star of David ornaments in your home. You don’t have to have a Christmas tree to have fun, you and your children can decorate your home for Hanukkah and have just as much fun. 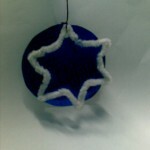 These Hanukkah ornaments are easy and fun to make and look very beautiful as well. 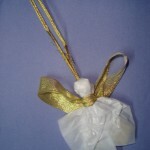 Here is a beautiful angel that you and your kids will love to be on your Christmas tree. 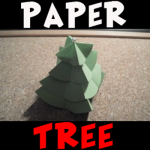 The following crafts project includes simple instructions to make the Christmas angel ornaments arts and crafts project that follows.